no ion charges, less downtime, creating of the best plotter Papers smoothest to the heads of the Papers plotter. Bright White 20 lb opaque Inkjet Bond. Un taped, not taped, no tape on roll, which means the papers is not taped to the core as in ole Xerox d ays when the taped papers stopped the plotter printer). This quality paper gives you longer life of your paper plotter printer and less issue and hassle. Although we carry them, Plotter heads can cost over $900, therefore “stick with quality”. Engineered using several top rated cad software driven, Inkjet and Engineering Plotting Papers to be compatible with all wide format ink jet printers! Fits all plotters which accept 24 Inch Wide Papers with 2 inch core, including most plotters from Calcomp, Encad, Epson, Hewlett Packard (HP), JDL, Kip, Oce, Roland, Xerox, and more! (if you have a universal converter for the 3 inch core copier plotter this inkjet (2 inch core) plotter Papers roll fits GREAT. 730305U starting as low as $59.96 you will be pleased with quality and fast service in getting the product. Over 20 years of dedicated quality service with over 60 years of back up experience behind us. Plot Roll Plotting Papers 36″, Core 2″, 300′ Rolls produce crisp images 2 inch core diameter, We explain Untaped 300′, in more detail on main page to site here. 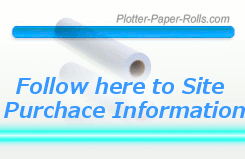 Professional Papers sheet, White Rolls 2 a carton to print. Plotter Paper InkJet is best when correct paper media is used. In the USA we use the technology of InkJet spray head printer to which a usual 2-inch core holds the plotter paper media. We thought it would be good to look at today’s inkjet technology involved in processing inkjet media papers USA requirements in printer manufacturer factory settings are to be reached machine standard or a higher quality paper media is resolved to use. 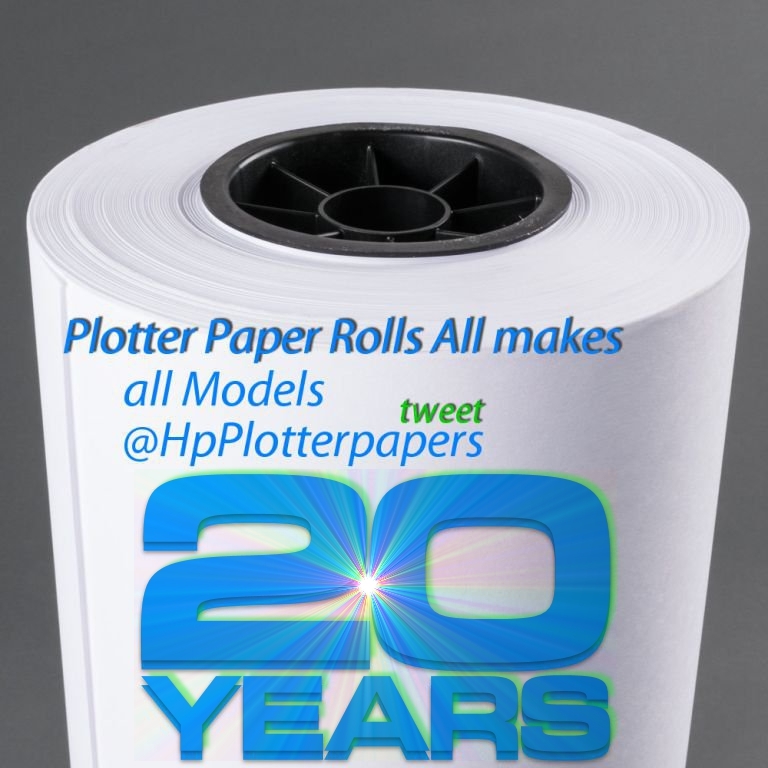 HP plotterpaper is the general motors of wide format plotter printing , in a print way; an American printing idea that set standards in quality, insight, reaching for flawless service and design. It is the DesignJet series printer that has defined the inkjet plotter and how inkjet plot paper is used. Hewlett 24×150 plotter-printer paper roll for quality example; there was a time when the three words inkjet plotterpaper meant cad HP plotter paper supplied to nearly every USA wide format HP printer user. 24 x 150 Inkjet In turn, this paper had a launching pad with the ThinkJet and found highest industry ij perfection with the HP Designjet.